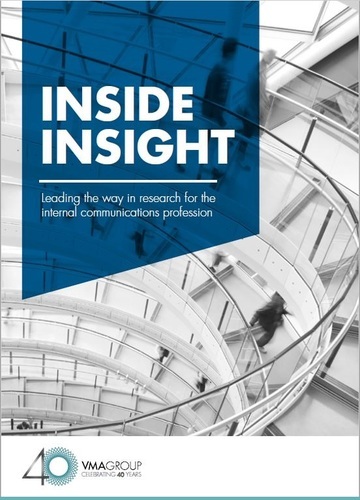 The latest edition of Inside Insight is our most extensive research into the UK internal communications profession to date with input from over 670 practitioners across 23 industries. This comprehensive study delves into challenges and opportunities as viewed by those working in the internal communications sector. Please contact Sara Tehrani if you are interested in discussing the results of the research in detail - members of our team are available to meet with you or to present the key findings at your organisation. Find out more about how we can help with your internal commununications recruitment and executive search needs here. To find out about the latest internal communications roles we are working on, check our job board. For previous editions of Inside Insight, please contact us at marketing@vmagroup.com.